It’s our 7th ROM anniversary this year. How time flies! Since I am into crafting now and decided to make him a card instead of buying. 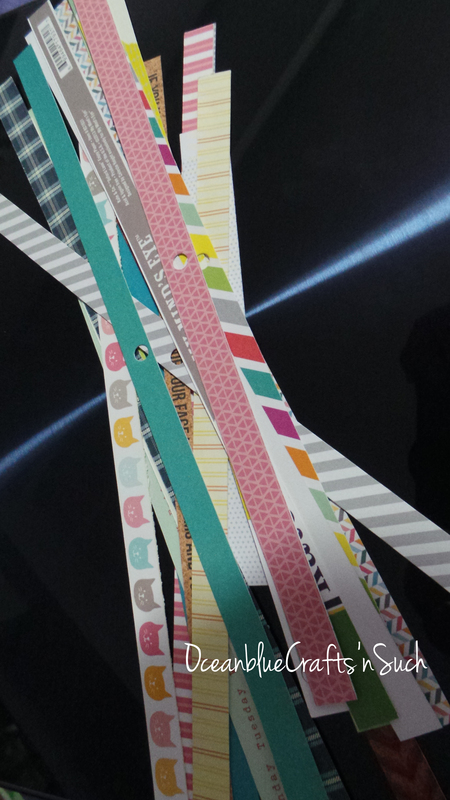 Do you have a lot of scrap papers lying around like this? Well, you can turn them into a beautiful patterned paper by adhering them into a piece or paper or plain cardstock as showed on the picture on the top. 🙂 I have adhered some scrap patterned paper from my scraps to make this card for him.